Last month, CHCF President and CEO Sandra Hernández gave the keynote address at the annual Health 2.0 Conference on the role of technology in solving America’s health workforce challenges. The following article is an adaptation of her speech. 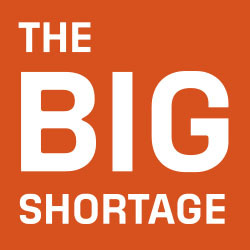 America is facing a major shortage of physicians, both primary care and specialty care. Left unchecked, this problem is expected to get worse. One of the big reasons why: A generation of doctors is expected to retire, and we’re not going to replace them fast enough. Another reason is that our population is both growing and aging, and that strains our health workforce in multiple directions, in terms of total volume of care (growing) and in terms of the depth of care (aging) needed. At the same time, as we are trying to keep up with these big demographic changes, our knowledge of what makes effective health care is also changing exponentially. The problem is that our knowledge of what works isn’t changing actual care fast enough. If all we do in solving the workforce problem is to think about plugging the existing holes, we won’t ever get there. Even if we could recruit enough doctors and nurses to address the shortages and patch the current system, the cost of care would be prohibitively expensive. Instead of just building more of the workforce we have today, we need to build a workforce for tomorrow’s patients. To do that, we need to make a major technology leap forward. Technology is the great extender. It is the bridge between people who make up the workforce. It can bring out the best in individuals, in teams, and different systems. Most importantly, technology can accelerate the change and fuel the healthy disruption that our health care system desperately needs. Extending the Reach of Primary Care ProvidersWhile we clearly need to train more primary care doctors, we also need to make sure the primary care doctors we already have are providing all the value they are capable of delivering. One way is to reclaim the significant time they spend trying to address their patients’ social needs, like food, housing, childcare or transportation. At UCSF Benioff Children’s Hospital in Oakland, patient navigators are actively making referrals to help patients get access to social services. Patients text the hospital using a unique identifier code to let their care team know whether they received the service related to a particular need. That helps the provider monitor what is happening with the individual patient and allows for population-wide analysis to understand trending social service needs. Although the people working at that hospital would be the first to acknowledge that they are just scratching the surface of what’s needed and what’s possible, they know the potential for benefits from such systems are significant. Saving Time with Faster Mental Health ReferralsEven though the workforce that deals with behavioral health is incredibly fragmented and siloed, most mild-to-moderate conditions are likely to be diagnosed in a primary care setting. Quartet, a health technology company, is helping primary care doctors better facilitate mental health care for their patients. They have created a virtual platform that connects these doctors with local mental health specialists, real-time phone consults with psychiatrists, and data-driven best practices and customer service support for patients. All of this will help doctors diagnose patients’ needs more rapidly and ensure they get the right care at the right time. This has obvious benefits for patients, and it saves enormous amounts of time for doctors and the system. Designing Houses That Look After SeniorsBy the year 2030, the number of seniors who will have difficulty caring for themselves will nearly double. We’re going to have to reinvent the way we do home health care. At UC Davis, there are plans for a state-of-the-art senior housing development with more than 500 units. They hope to build new health technologies right into homes, such as sensors and monitors to detect falls; smart refrigerators that notice if residents haven’t opened them in a while and signal a nudge to eat; and smart devices like Alexa that respond to voice commands and offer residents 24-hour access to an on-call nurse. I can’t overstate how game-changing this would be for improving the quality of life for our seniors, for easing the burden on our workforce, and for deploying limited health dollars in a smarter, more efficient way. While we face critical shortages of health professionals today, we have a great surplus of innovation potential. If we can put that innovative spirit to work in the right places, it won’t just solve a workforce problem. It will be the engine that drives America’s health care transformation. Learn about CHCF’s work to address California’s health workforce issues. Photo courtesy of Bobby Gladd.